Marketing people would probably gasp at us mentioning “the competition”, but in reality we look at River Gate South apartments in Plymouth as a sister development. We both moved through the Regional Cities Initiative on housing for Marshall County and we both received support from our communities to make the developments happen. (They received some direct funding, while we received infrastructure assistance.) Their location in Plymouth is geared to draw a different audience from our location in Culver. Sand Hill Farm Apartments and The Paddocks in Culver will be targeting different clientele. Unfortunately, they have struggled with some of the same weather and labor issues that we have and they have had to delay their opening until February 2019. Trust us, we understand! 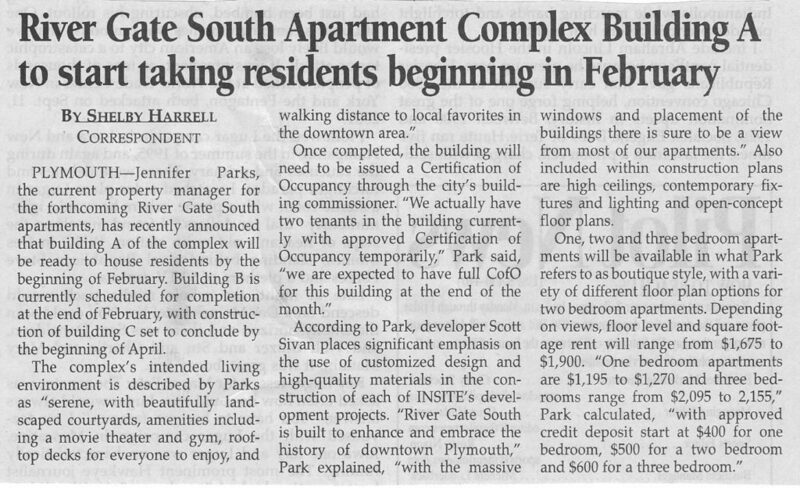 The article below from the Pilot News talks a little about their progress, rental rates, etc. Congratulations Scott for making it to this point! Pictures from the River Gate South website. We’ve included a rendering of their proposed facilities here. Like ours, the buildings are coming together and will look close to the rendering. (Architects always exercise a bit of artistic license. The title picture for this post is the most up-to-date picture of Sand Hill Farm Apartments, taken at the site.) 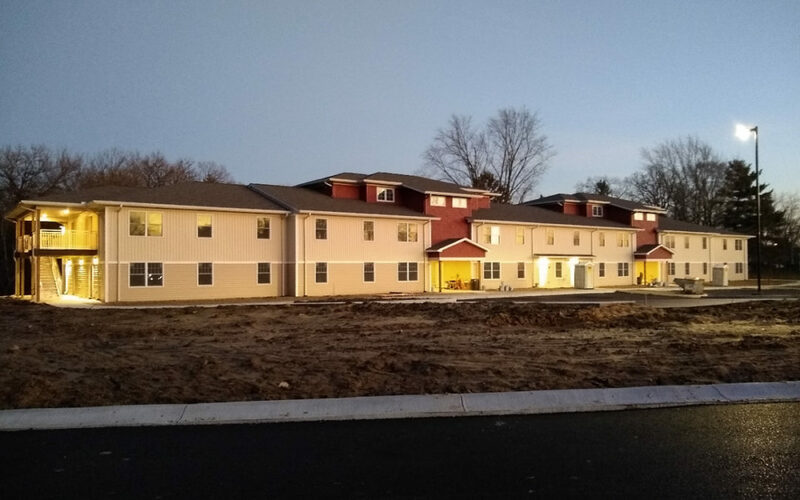 To the best of our knowledge, these are the only other apartments in Marshall County that have been built since some of the new codes have gone in place. They also had to meet the new energy efficiency standards, include sprinklers, etc. Best of luck to our sister development! We’re both pursuing the goal of addressing Marshall County’s housing shortage. Thank you for stepping up with us!